My dream is for anyone to be able to have the treats they love. Especially if it's your child. Maybe your child patiently says "No, thank you" when a parent shows up at school with gorgeous cupcakes for someone's birthday. Maybe your child takes a pack of allergy-free cookies to every party she's invited to, because she's sure to be allergic to the pizza and birthday cake. Maybe you never get to order dessert in a restaurant or go out for a treat because of food intolerance. Maybe you're allergic to gluten AND eggs, and every label you read has one or the other. Maybe you're tired of "allergy friendly" foods that taste like cardboard. My name is Nicole Seevers. I am a former attorney who used to go out (or order in) for nearly every meal. Now I'm a mother of three, and I spend a LOT of time in the kitchen. My son Cole has asthma, and he's allergic to dairy, eggs, tree nuts, buckwheat, sesame and shellfish. He also spent nearly a year avoiding wheat and gluten. As a result, I have spent the last decade mixing, mashing and messing around in the kitchen in an effort to make delicious treats that everyone in my family can eat. I threw away lots of failed experiments, and posted a few of the better recipes on a blog I created to pay homage to Cole and my favorite book by Ernest Hemingway. I've also read dozens of cookbooks, as well as everything I could get my hands on about food allergies, asthma, the link between nutrition and health, our national food system and baking without the ingredients that are usually in baked goods. Food allergies can be overwhelming and depressing, and more than once I thought, "I wish someone could just come in here and show me what I need to buy and how to make a decent-tasting cupcake." ​So now I'm a home baker serving the Northern Virginia area. My offerings include cupcakes, muffins, scones, cookies, seasonal breads and pies baked to order without dairy, egg, nuts, gluten and/or any other allergens you specify. I also bake custom cakes (subject to availability). What is your main dessert offering? How does this work? ​Well, there’s nothing basic or “off the shelf” about my baked goods. I like to joke that they’re bespoke: “specially made for a particular person, organization or purpose ... altered or tailored to the customs, tastes or usage of an individual purchaser.” In other words, everything is prepared to order. Give me a call or head over to the order page, and we’ll come up with a baked treat designed just for you. The most popular items are cupcakes, muffins, sandwich cookies and cakes made without the most common allergens, e.g. gluten, nuts, dairy and/or eggs. To get vegan and/or gluten-free treats to taste just right, I use a variety of non-dairy milks and fats, and I make my own gluten-free flour blends and egg substitutes. So you don’t have a store front where I can just come pick up some cupcakes? Not yet. I make everything to order, each baked good tailored to a specific customer’s allergies, so I’m unable to offer ready-made goodies at this time. But I occasionally have designated “cupcake” or “breakfast” days when you can stop by to purchase featured goodies. 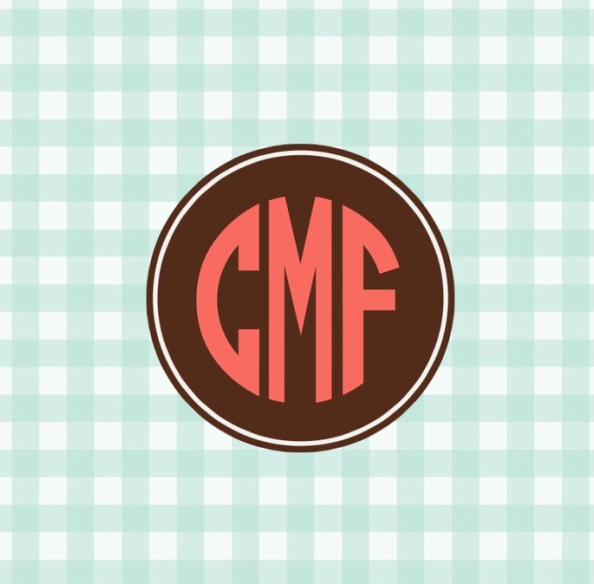 Sign up for my newsletter on the Contact/Order page, or follow CMF on Facebook, Instagram or Twitter (at the bottom of this page) to receive notice of those events. Where are you located? Can I just stop by for a taste? I work out of my home in Oakton, Virginia. At any particular time, I’m working on an order for a specific customer, so I’m not able to offer tastings or samples. When you place your order, we’ll set a specific time for you to pick up your baked goods. Sometimes I hold “flash sales” of extra baked goods at deeply discounted prices. Keep an eye on Facebook, Instagram or Twitter for special sales and events. Can you bake without soy or corn? You bet. I can bake without just about any ingredient, as long as you let me know. If there are limitations to how the item will taste or look, we will discuss that when you order. Do you make "regular" treats . . . you know, with butter and eggs and stuff? Yes, we will only leave out ingredients as needed. However, a vast majority of the work I do is customized around food allergies or restrictions, and I generally don’t offer desserts with nuts. How long will my goodies keep? How do I store them? Can I order something I don't see on your web site? What you see on the web site is just a sampling of my offerings. Every dessert order is customized to your particular specifications. And I'm willing to try almost any baked good - chances are I've made what you have in mind, so let's talk! Is your kitchen and home free of my allergens? No. My family eats items that our son is allergic to, but I go to great lengths to ensure that utensils, machinery, equipment and work areas are sanitized between use. I keep a dedicated set of pans used only for bakery orders in a cabinet separated from the rest of the kitchen, and ingredients used to prepare bakery orders are kept in a separate pantry and refrigerator. I read all ingredient labels very carefully. If an ingredient indicates that it may contain or has been made on equipment that also processes your specified allergen, I will not use it in your order. Assistants are trained on the importance of best practices for avoiding food allergies, so that I can provide treats with as little exposure to cross-contamination as possible. Please note, however, that there may still be particles in the air. In addition, although I use the highest quality ingredients, ingredient manufacturers sometimes fail to label cross-contamination risks. If your food allergy is life-threatening, please call me at (917) 531-4409 to discuss the risks before ordering. Speaking of ingredients, what are some of the ingredients and brands you use? Some of my favorites are: Authentic Foods everything, especially their flours and gluten-free blends, Ener-G starches and egg replacer, The Teff Company gluten-free flours, Arrowhead Mills baking mixes and ingredients, Hodgson Mill flaxseed and other baking ingredients, Whole Foods 365 brand ingredients, Earth Balance butters and shortenings, Spectrum Organics oils and shortenings, Nielsen-Massey vanilla, McCormick and Simply Organic extracts and other flavorings, organic soy and rice milks, cane sugar, pure vanilla extract, Hershey's cocoa, Enjoy Life chocolate products, Vermont Nut Free chocolate and candy melts, India Tree sprinkles and other decorations, organic fruit spreads, sea salt, Hain gluten free baking powder and baking soda. I also occasionally use Fleischmann's margarine and Smart Balance dairy free spreads when additives or soy are not an issue. Do you have mail order? ​Not yet. I currently serve the Northern Virginia area. And I don't mind delivering to Fairfax County, Loudon County, etc. during non-peak times . . . as long as it's not rush hour! See delivery fees on the Contact/Order page. ​If you’ve just found out someone in your life can’t eat certain foods anymore, and you’re feeling overwhelmed or simply don’t have the time to learn how to do everything differently, I’m here to help with pantry overhauls, grocery lists and resources, cooking demonstrations, tips and tricks, and how to survive school and parties with food restrictions. I also offer baking demonstrations and classes to groups and organizations. Give me a call for more information. Check out the blog where it all started!